Em George - Blues Lady. Background bio - Em George is a singer-songwriter from Sydney. Em began to be interested in songwriting after discovering the sounds of Carole King, Lou Reed, The Beatles and Leonard Cohen. Teaching herself the guitar, Em began to play around with melodies and sounds, combining her love of poetry and writing with music. Writing about personal experience, or about the absurdities and observances of life, Em’s songs display an introspective quality that is unique to her as an artist. Drawing from influences of all genres of music, her melodies help to express the true meaning of the lyrics. 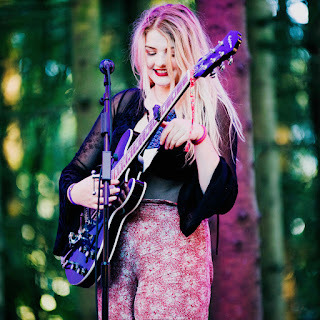 Her first single Murderers On The Inside was released in 2013 and was played on FBi radio, Triple J Unearthed and Home Brew Radio. 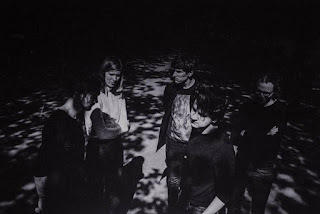 The single was featured on blogs such as Mad Mackerel and Made Static. In November 2013, Murderers On The Inside was optioned by HBO for use in film and television. This was followed by the track being remixed by L.A based producer Stephen Kozmeniuk (Madonna, Kayne West). In June 2014, Em released Truth which received airplay on radio across the country such as FBi, Inner FM (Melbourne) and reached gold rotation on digital station, Traxx. It was also featured on Mood Media. The track was also featured on several blogs such as Mistree Magazine (U.K) and the United States, drawing comparisons to Regina Spektor and Beth Orton. In 2015, Truth was featured in the soundtrack of Unplanned America season two which premiered on SBS 2. Em was featured in The Music Network alongside artists such as C.W Stoneking, after her third single Paper Hearts, released in early 2015, spent two weeks in the AMRAP Metro and Regional charts reaching number three. It was featured on Triple J Unearthed, Mercedes Benz Fashion Week, Mood Media and was SYN Radio’s track of the week alongside Aerial Love by Daniel Johns (Silverchair). It was also released to radio in the United States, achieving airplay in New York, California and Texas. She was also selected for industry judging in the second round of the APRA Professional Development Awards 2015. “Blues Lady” is the second release from Em’s debut self-titled EP. The song was written about Billie Holiday and was selected as a semi-finalist for the International Songwriting Competition 2015. "Em George" EP will be released 27th of May 2016. 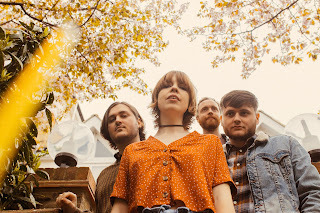 Beehive Candy included Em George a few months back and the new single from her self titled EP is well worth another feature. 'Blues Lady' continues the intimate modern folk feel. 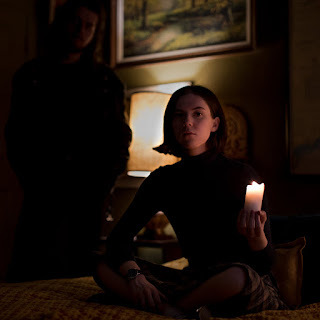 As singer song writers go Em George has certainly struck a chord with me, to the point where I genuinely check her new material out with a fair amount of excitement, and certainty that I'm going to at the very least, appreciate it. Brooklyn Michelle - Stick Up. 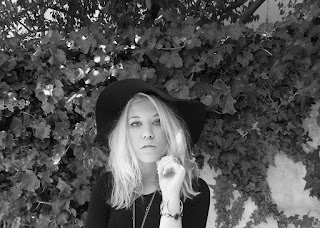 Background bio - Brooklyn Michelle is an artist and music producer from San Antonio, Texas. Brooklyn's greatest childhood hero and role model is her "Paw Paw", who gave her the endless desire to create something extraordinary from scratch all by herself, just as he could. His ability to build or fix practically anything alone from cars to entire houses amazed Brooklyn and set an example of what hard work really looked like. Her grandfather, Rodney L Kirk, also shared Brooklyn's love for music with her. He was very persistent in keeping up with their after dinner guitar sessions, always demanding to hear the new songs she had learned or written. Brooklyn's Paw Paw is without a doubt her biggest fan and the sole purpose in dedication to her music career. At 13 years old Brooklyn went through her first heartbreak when she lost that number 1 fan to Pancreatic Cancer. She has chosen to revolve everything she does in her life around and her guardian angel's passion to create. Now involved with the Pancreatic Cancer Action Network, Brooklyn holds the position of PurpleLight Chair for the San Antonio Affiliate. This meaning she hosts this Affiliates annual ceremony, PurpleLight, "An evening to honor and remember those affected by Pancreatic Cancer". Brooklyn has exciting long-term plans of turning the local event into an annual music festival in San Antonio with the proceeds going towards the cause. An impressive artist line-up along with the sundown ceremony remaining the main event (and more spectacular at that) could lead to a significant increase in awareness to the disease and people wanting to get involved. Brooklyn aims to use her and her grandfather's passion for music to draw the enormous amounts of attention the deadly disease demands towards San Antonio's PurpleLight and ultimately skyrocket funds to fight it. For Brooklyn to build something so simple into the extraordinary, for this cause especially will be her Paw Paw's ultimate creation. 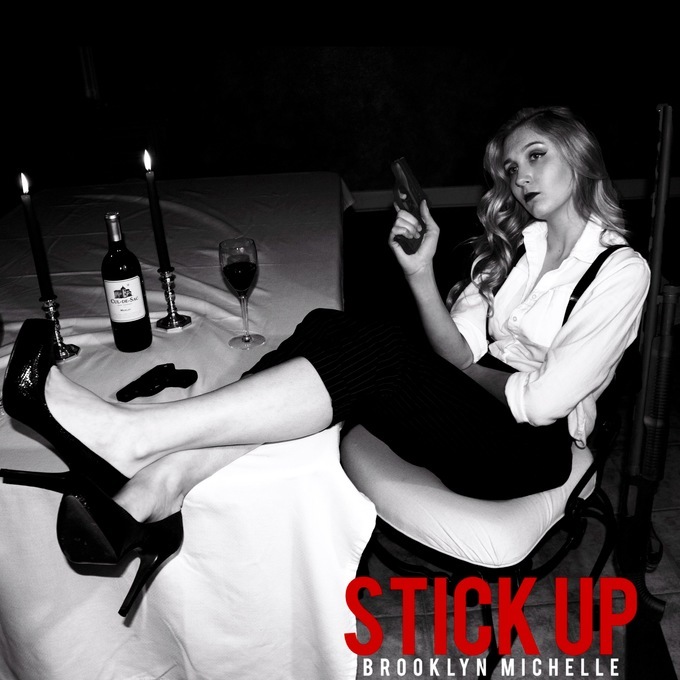 Stick Up is the single off of San Antonio artist, Brooklyn Michelle's upcoming album, Lithium. This witty song is for all of those who have been stood up before and wish to seek revenge. Lithium is an original alternative hip hop LP written and produced by Brooklyn Michelle. Each song tells a story from a past experience that may contrast in mood from one song to the next, hence the reference to the bipolar medication, Lithium. The album is to be released worldwide fall of 2016. 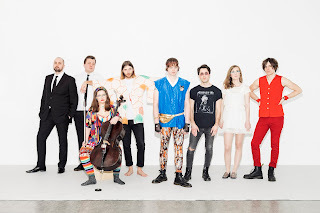 'Stick Up' has been around for a little while and remains an enticing teaser for the keenly awaited album 'Lithium'. Brooklyn Michelle delivers a highly accessible alternative hip hop style, that should appeal well beyond the core genre's audience. This is creative and for me quite original material, I look forward to hearing more this autumn/fall.